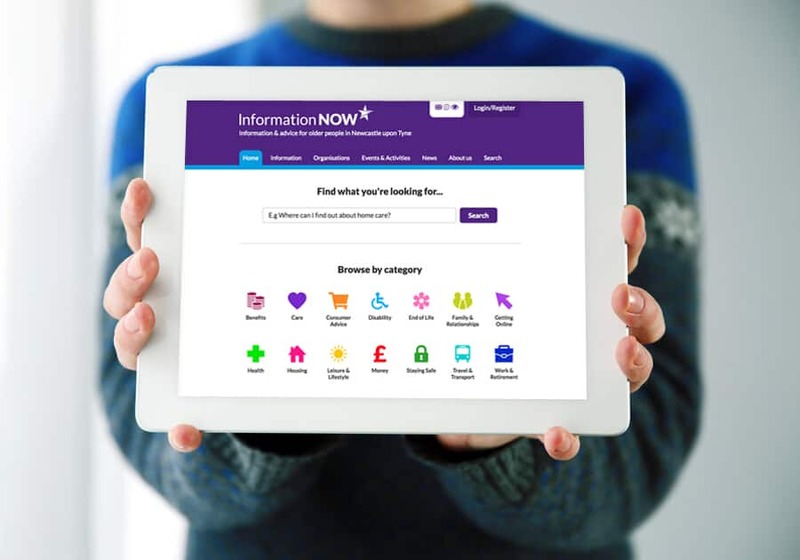 Information Now is a prestigious information and advice website. The website is for older people and adults, their families and carers in Newcastle. Helping users to stay informed, make choices, plan ahead, be independent and have an excellent quality of life. 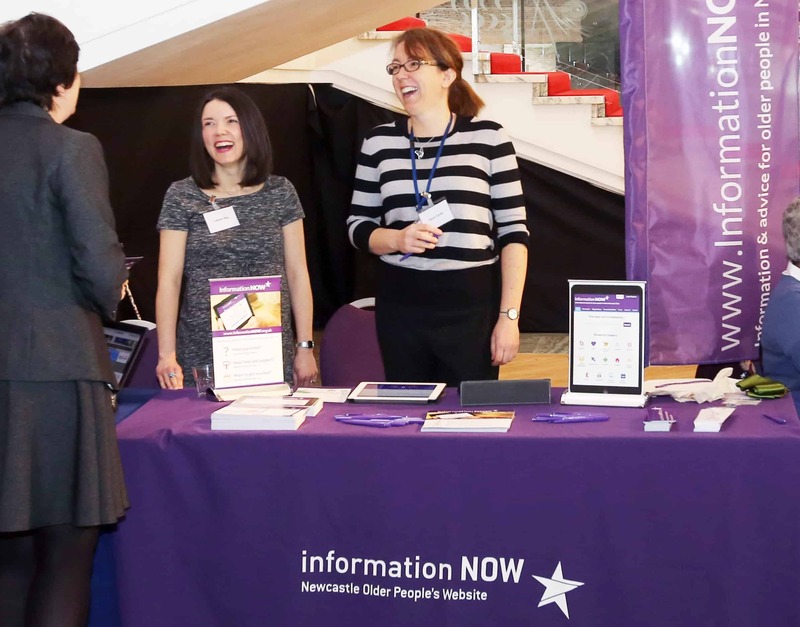 InformationNOW.org.uk was created in 2006 by The Quality of Life Partnership, with and for older people in Newcastle. The website continues to grow from strength to strength with over 21,000 visitors a month. Jam packed with thousands of informative articles and organisations the website provides local information and advice. Information Now is funded by Newcastle City Council and Newcastle Gateshead Clinical Commissioning Groups. Information Now commissioned Urban River to create a whole new website experience for their users. The challenge was to create a new website that delivers the immense amount of information in a much improved user experience for the thousands of visitors to the site. Through strategic group sessions with users and the Information now web team we created and tested the website throughout various stages of the development. The user testing allowed us to gather input to develop and refine the website to create the best possible experience. When arriving at the website the users are presented with various ways in which to search. The user can type in a question, browse categories, or search A-Z. The user can browse through topics and articles to find the information relevant to them. This allowed the information to be delivered fast and conveniently to the user. The website incorporates events and activities into a calendar functionality to allow people to participate in interests within their community. Due to the website being aimed at the older generation there were accessibility standards we needed to adhere to and work across all platforms and devices. The site receives in excess of 21,000+ visitors a month and therefore an intelligent search facility was vital for success. 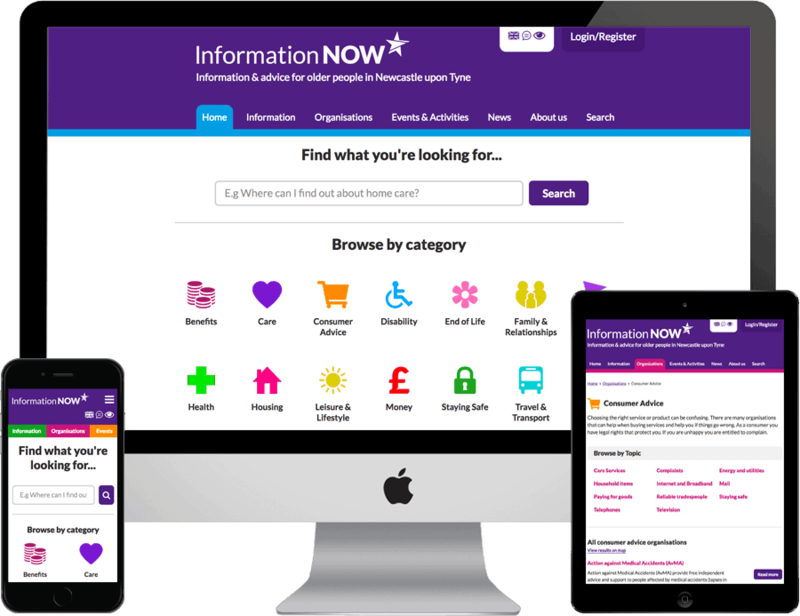 Not only did we create a new website for the online users we also created a new back end system for the Information Now team. We built a highly organised system that allows the team to input the vast amount of information easily and quickly. The new Information Now website is unlike other information driven websites. The target market being the older generation is at the core of the design. We created an immense amount of information in a simplified way at the users fingertips. There was a 57% increase in interactions with the website compared to the previous year.